SpaceX Falcon Heavy started the initial stage of success. 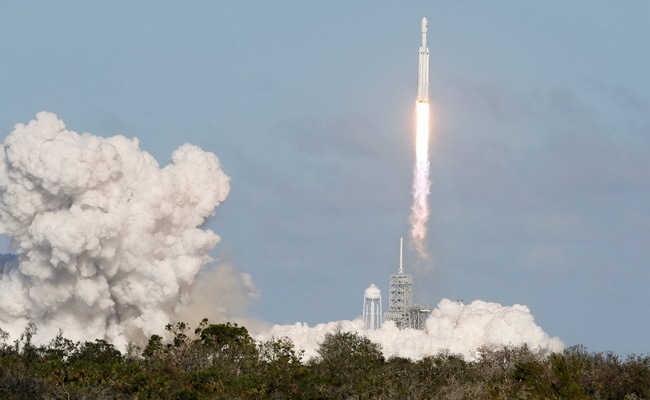 The space company headquartered in Hawthorne that successfully launched the Falcon Heavy rocket on its first Tuesday afternoon composed mission. The Falcon Heavy produces a thrust of 4.7 million pounds when launched, much stronger than any other rocket currently available. The rocket took off at 3.45. EST from the historic launch site at Kennedy Space Center 39A. The launch which was originally scheduled at 13.30 WIB was delayed for several hours due to wind conditions. The day before the launch, SpaceX founder, Elon Musk, proposed the possibility of a successful flight in place between 50 percent and 70 percent. "I am looking forward to it will be an exciting success or an interesting failure.A great explosion I will say it will be worth your time," Musk said. "I like to imagine a car drifting incessantly across the sky and possibly found by the alien race millions of years in the future," Musk said.